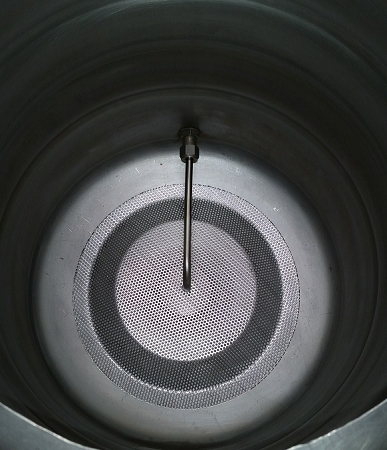 This false bottom can be used in a wide variety of kettles but has been designed specifically towards Sanke kegs. 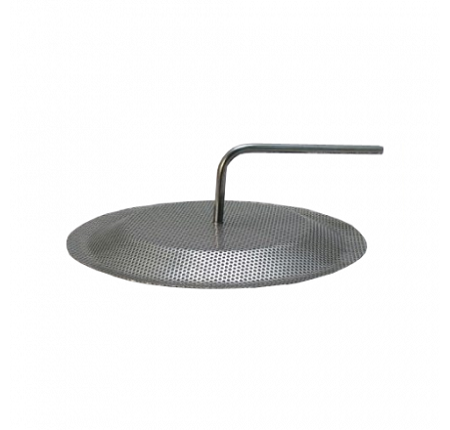 The 11-3/4" perforated 304 stainless steel has a stamped dome pattern to allow a heavy amount of weight without the need of a stand. The stand also comes with a 3/8" dip tube that has been flared on the end sitting under the false bottom. I'd give this 5 stars if the dip tube was 1/2". If you are using a pump, this dip tube is just too thin. It's very frustrating trying to get the wort flowing well with it so small.